Barnes & Noble rolled out several new updates today for their mobile apps, but it's not clear to me whether the updates actually qualify as new or whether B&N is trying to pull a fast one on us. It's good to see B&N adding features to their Android app, even though they are still ignoring the Windows and OSX apps, but I'm not so sure that B&N is being equally honest about the recent update for the Nook apps for iPad and iPhone. The Zoom View and animated page turns were already in the app, and have been there for a while. I don't know why B&N decided to list them again. What's even more puzzling is that there was no need. The other features in this update were more than enough to be worth writing about. For example, the new graphics ability is a plus, and so is the improved PDF support. And one feature which I am particularity pleased to see is the better organization for newspapers, magazines, and books. 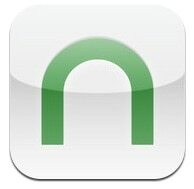 The Nook for iPad app will now gather the books in a series and display them as a single icon. That is very cool, IMO.